These verses refer to wisdom. 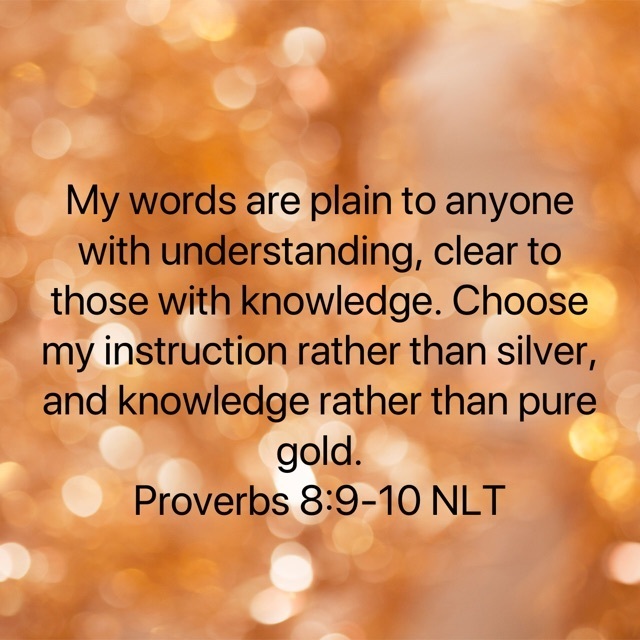 I'm so thankful that we can ask for wisdom and it will be made plain to us. Of course, sometimes, it's not in MY timing, but God's. It's hard to wait for that wisdom. However, I do choose it rather than silver or gold. As I was typing this the Lord reminded me that He is more precious than anything this world can buy or bring to us! Only He can truly satisfy! Listen to this song and rest in His embrace. Feel free to subscribe to my blog (below) and share with friends.